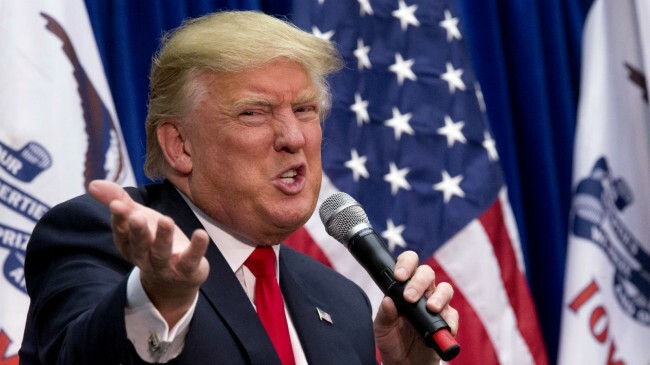 Washington, Jan 28 (IANS) Calling Republican presidential front-runner Donald Trump as the “best hope for America”, some Indian-Americans in the New York Tristate area have formed a Political Action Committee (PAC) to support and raise funds for him. Headed by Dr. A.D. Amar, a business professor with Seton Hall University in New Jersey, the ‘Indian-Americans for Trump 2016’ was registered as a PAC with the Federal Election Commission last week. Its sole goal is “to garner actively the support of all Americans, but particularly Indian-Americans, to have Donald J. Trump become the next President of the USA,” the PAC said in a press release. “On realizing that the agenda of Donald J Trump for President 2016 is focused on reviving the American economy, rightly bringing America on the world stage, defeating terrorism and establishing peace through strength; many Indian-Americans believe that he is the best hope for America and the right candidate to be the next president of the United States,” the PAC said in a statement. The real estate billionaire has vowed not to take money from individuals or special interest groups, or seek support from PACs. There was no comment from the Trump campaign. Anand Ahuja, an attorney based in New York, and Devendra “Dave” Makkar, a businessman in New Jersey, have been “elected” vice president and treasurer respectively. Dr. Sudhir Parikh, publisher of some community news publications in New Jersey, has been named chair of fundraising and advisory committee of Indian-Americans for Trump 2016. “This is only the first step. We are on the side of Trump for this election,” Amar said, citing Trump’s policies on illegal immigration and economy in particular as the main reasons for his group to support the Republican contendcer. Meanwhile, South Carolina’s Indian-American Governor Nikki Haley asked protestors and supporters of Trump to stay “civil and respectful” as she made a pitch Wednesday for expanding the party’s base. “I think what Mr. Trump is doing is continuing to push through this candidacy. I think he’s continuing to move forward. All we ask is that everybody stay civil and respectful in the way they do that,” she was quoted as saying at a press conference by State newspaper. Asked would having Trump or Texas Senator Ted Cruz as the Repulican presidential nominee hurt efforts to woo young, women and minority voters, Haley called for expanding the party’s base. “My goal was coming off after the last election with Mitt Romney (in 2012) was to make sure that I did everything I could to open that umbrella – to make sure we opened it up to Indian-Americans, Jewish-Americans, to make sure Hispanics and women felt a part of the Republican party,” the governor said. “What I did with the address was very much start that conversation, which is we need to grow our umbrella. We don’t have room to close it,” said Haley, who gave the Republian response to President Barack Obama’s State of the Union address earlier this month. Haley, who has not endorsed a 2016 candidate, would not say if she expects Trump to become more civil if he becomes the party’s nominee. “We’ll find out,” she said.